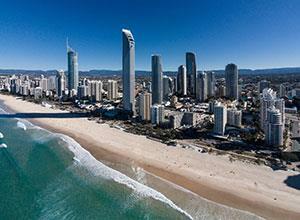 Purchase the Queensland Explorer Pass from International Rail. 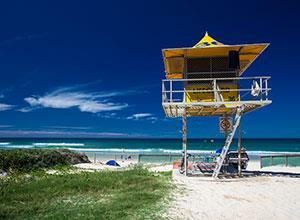 The Queensland Explorer Pass offers unlimited travel for one or two months across the Queensland Rail network. See every corner of Queensland - from Cairns in the north, to Brisbane in the south and the Queensland outback that extends to Charleville, Longreach and Mount Isa. Passengers are requested to arrive at their first station of travel at least 90 minutes prior to departure to have their Voucher exchanged for a Pass and validated for travel. Pass exchange stations for the Queensland Rail Explorer Pass are Brisbane, Townsville and Cairns. Pre-booking, amendment or cancellation of all train/coach bookings is required at least 24 hours in advance. To ensure you obtain maximum value from your pass, you are strongly advised to reserve space on as many sectors as possible before travel (and at least 24 hours) or before arrival in Australia if itinerary is known. You can pre-book any journeys onto your pass in advance through ourselves for a small per journey charge, plus any upgrade surcharges should these be applicable. As the pass does not guarantee that the holder will be able to obtain accommodation, pre-booking, amendment or cancellation of all train / coach bookings is required at least 24 hours in advance. To ensure you obtain maximum value from your pass, you are strongly advised to reserve space on as many sectors as possible before travel (and at least 24 hours) or before arrival in Australia if itinerary is know. You can pre-book any journeys on to your pass in advance through ourselves for a small per-journey charge, plus any upgrade surcharges should these be applicable. Passport numbers are required when booking all passes.